We all know the song, Smoky Mountain Rain by Ronnie Milsap, but rain can really put a damper on your vacation plans. Make the most the percipitation by taking time out to enjoy yourself indoors! 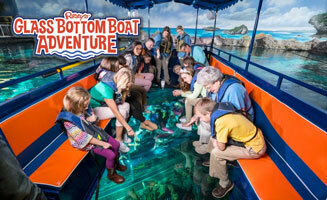 Here are 25 things you can do with your family on a rainy day in Pigeon Forge! 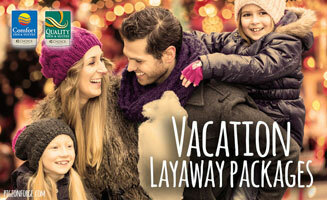 Get a pack of cards and enjoy some old-fashioned family fun. No matter whether you’re learning a new game or playing an old family favorite, you’ll love connecting and competing with loved ones! Taste our Smoky Mountain heritage at a moonshine tasting at Smith Creek Moonshine Distillery in Pigeon Forge. Over 13 flavors to suit every pallette. Laugh until your sides hurt at The Comedy Barn. Over 20 years of side busting laughter and fun for the whole family! Catch the latest flick on the big screen at our movie theater, Governor’s Crossing Stadium 14 Theater. Solve a mystery, plan a prison break or repair a spaceship to return home but you only have one hour! 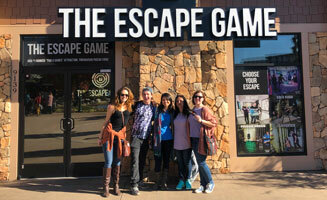 Take the challenge at The Escape Game Pigeon Forge. 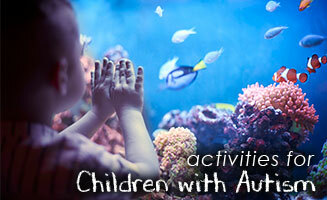 Waddle with the penguins, splash with the rays and walk underwater though the Ripley’s Aquarium of the Smokies. Sip your way across the Smokies on the Rocky Top Wine Trail. Five Wineries and over 70 unique wines to try! 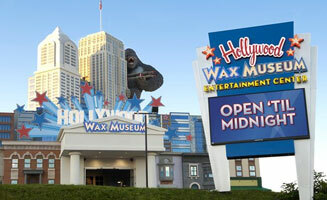 Get up close and personal with the celebrities at the Hollywood Wax Museum. Enter the seven-dimensional gaming experience 7D Dark Ride Adventure on The Island in Pigeon Forge or in Gatlinburg. Figure out whodunit at the Great Smoky Mountain Murder Mystery Dinner Show. Hit the indoor links at the all new Crave Golf Club. Think: Candy Land meets Caddyshack. Your sweet tooth will thank you!. Bring a little friendly competition at the LazerPort Fun Center in Pigeon Forge. Activities like mini golf, arcade games and laser tag will be sure to get everyone in the competitve spirit. Be sure to check out Pigeon Forge cabin rentals with game rooms too. Kick back and relax with a treatment at RiverStone Resort, featuring an amazing spa experience in a tranquil setting. Home to the largest, most unique selection of cowboy and cowgirl boots and western apparel, Stages West, is a shopping destination on the Parkway in Pigeon Forge. Visit one of the many arcades in Pigeon Forge with something to offer for all ages. Play the old school classic arcade games, or try out something new. Get the whole family moving at TopJump Trampoline Park. Dunk like Lebron or practice your climbing skills at the Clip ‘Climb. HUGE arcade, Sugar Rush Candy Store, and a place for parents to relax and see the whole park. Test your crime skills and knowlege at the Alcatraz East Crime Museum. Discover the legacy that made Bush’s Beans what it is today with an interactive museum, general store and cafe at the Bush Brothers Visitors Center. Experience the hands-on exhibits at WonderWorks. Incredible entertainment is one thing the Smoky Mountains are known for. Country Tonite Theatre crosses decades and genres in their high energy show. Bring history to life at the Titanic Museum and Attraction. Over 400 artifacts on display at this interactive museum. Get the experience of flying without the fear of jumping from a plane or falling out of sky at Flyaway Indoor Skydiving. Take a scenic drive through the Smokies to see how nature reacts to the rain. Headcase Escape Adventures will get your mind working with innovative technology, puzzle and riddles in an exhilarating escape adventure. Feast your eyes on the multitalented, world-famous illusionist Darren Romeo at Magic Beyond Belief! This mind boggling show is a Pigeon Forge favorite and without a doubt fun for the whole family. Want more ideas? Check out more ideas on things to do in Pigeon Forge, TN! What’s your favorite thing to do in the Smokies on a rainy day? Let us know on the Pigeon Forge Facebook page.